New observations of Venus’ atmosphere by the Japanese orbiter Akatsuki – combined with supercomputer simulations – have revealed giant symmetrical streaks never seen before. Lower clouds of Venus with the streaks observed with the Akatsuki IR2 camera (left) and the planetary-scale streak structure reconstructed by AFES-Venus simulations (right). Image via Nature Communications paper. Venus is a mysterious world, with its surface perpetually hidden from view by a thick layer of clouds. While probes have landed on the surface – surviving long enough in the hostile environment to send back photos and other data – there is still a lot to learn about Venus and its cloudy veil. Intriguing wind-driven patterns in the clouds have been seen before, but now a Japanese research team has found another unusual one – almost symmetrical giant streaks – on a planetary scale – in both the northern and southern hemispheres. 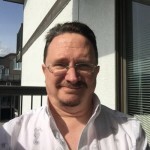 The findings were published in a new peer-reviewed paper in Nature Communications on January 9, 2019. The discovery comes from data obtained by the spacecraft Akatsuki (Venus Climate Orbiter), which began to orbit Venus in December 2015. The streaks turned up in images taken by the infrared camera called “IR2” that measures wavelengths of 2 um (0.002 mm). This camera can penetrate the upper cloud layers to see the detailed morphology of the lower cloud levels, about 30 miles (50 km) from the surface. The research team was led by Project Assistant Professor Hiroki Kashimura at Kobe University, Graduate School of Science. Diagram depicting the formation mechanisms for the streaks. Image via Nature Communications paper. 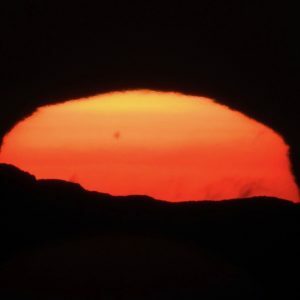 The infrared data from Akatsuki was combined with a new supercomputer program called AFES-Venus, used for calculating simulations of Venus’ atmosphere, based on the version used for Earth – Atmospheric general circulation model For the Earth Simulator (AFES). 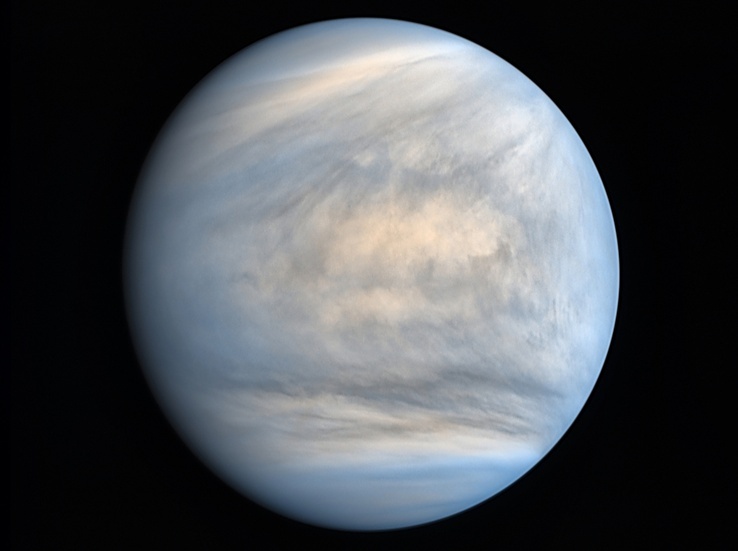 The process is similar to how atmospheric phenomena on Earth are researched and predicted, although for Venus, the perpetual cloud cover makes it more difficult. 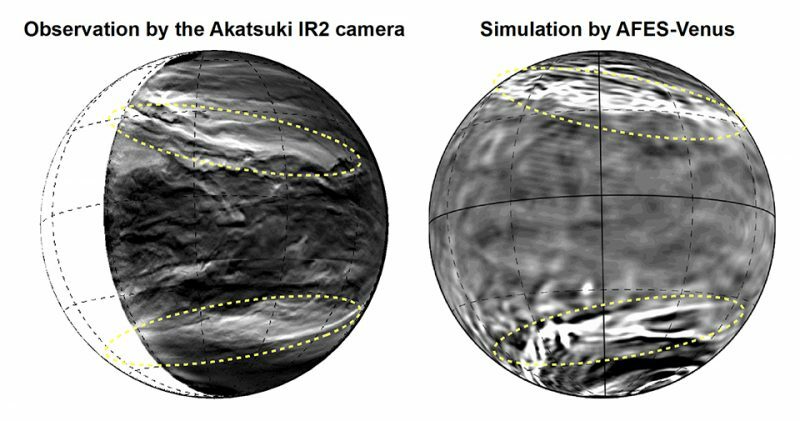 The infrared images from Akatsuki’s IR2 camera were compared with the high-resolution simulations from the AFES-Venus program. When this was done, the streaks became evident for the first time ever. 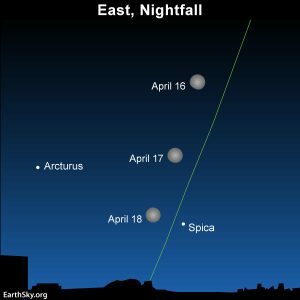 Each streak is immense – hundreds of kilometers wide and stretching diagonally for almost 10,000 kilometers (6,200 miles), in each hemisphere. It is likely that this is an atmospheric phenomenon unique to Venus, since it has never been observed on Earth. Venus as seen in ultraviolet light by the Akatsuki orbiter, showing the complex weather patterns in the atmosphere. Image via JAXA/ISIS/DARTS/Damia Bouic. So what is causing these giant streaks? Again, the answer lies in a similar atmospheric phenomenon on Earth – polar jet streams, combined with atmospheric waves and baroclinic instability (large-scale dynamic winds). This is similar to Earth, where large-scale dynamic winds form extratropical cyclones, migratory high-pressure systems and polar jet streams. On Venus, the atmospheric waves, caused by large-scale atmospheric flows and the planetary rotation effect (Rossby wave), create large vortexes across the equator to latitudes of 60 degrees in both directions. Jet streams then cause those vortexes to massively stretch and tilt, forming the streaks. These new studies also show how Venus’ atmosphere and climate can now be studied more as an actual three-dimensional structure rather than just in two dimensions, “from east to west,” as before. In regular visible light, Venus’ clouds are a lot blander appearing, as seen in this image from Mariner 10 in 1974. Image via Mattias Malmer/NASA. 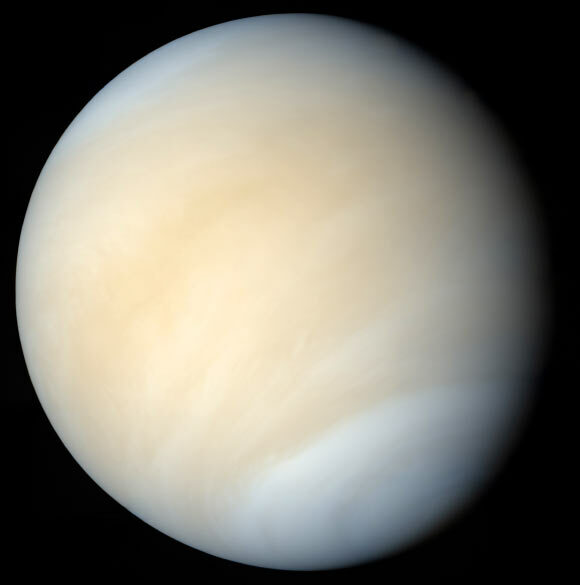 While these atmospheric processes are similar to ones on Earth, Venus is still a very different world in other ways. Although it is almost the same size, the surface pressure is similar to the crushing pressures deep in Earth’s oceans and the temperatures are hot enough to melt lead – up to 860 degrees Fahrenheit (460 degrees Celsius). The thick clouds are composed largely of sulfuric acid. Not exactly a life-friendly environment, although conditions in the upper atmosphere are actually much more comfortable, with temperatures and pressures similar to Earth. There have even been some studies showing that microbes could easily exist there and could even explain unusual dark patches in the upper atmosphere that change over time, although a lot more investigation needs to be done to determine whether that is the case – or not. Bottom line: New observations from Akatsuki, combined with advanced supercomputer simulations, show how atmospheric processes on Venus are both similar to and different from those on Earth. The giant streaks seem to be unique to Venus, although their formation is caused by atmospheric conditions similar to ones seen on Earth.